RAJ GILL, B.SC., ART., CPCC. Raj is a founding partner of EXLI – The Experiential leadership Initiative and the Director of Prosperity Circles Coaching International in BC Canada. She is a published author (NVC Toolkit for Facilitators) and a trainer certified by the Center for Nonviolent Communication. Her practice includes Coaching and Training in Inclusive Leadership, Communication with Compassion and Emotional Intelligence. Over the past 13 years Raj has coached entrepreneurs, doctors, youth, couples and inmates to get results through their ideas, words and actions (IWA). Her work also includes curriculum development and teaching with Cowichan Intercultural Society, the Justice Institute of BC., UBC, Langara College and Correctional Service of Canada to name a few. 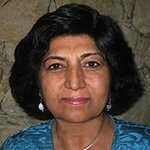 Raj brings over 30 years of experience in teaching, training and facilitation to her practice. Two of Raj’s role models are Mahatma Gandhi and Martin Luther King. She is a strong believer in the power of compassion and human connection for resolving conflict and creating business success. Raj has provided trainings in Africa, Central & South America, North America and Ireland.